Through setting an inviting tablescape you encourage guests to enjoy the meal at hand. Some simple finesse of accessories adds an extra element of detail to a tabletop that adds to the presentation and elevates the atmosphere of a gathering. Creating a quick pocket-fold for your silverware is one of the most fun ways to dress up a dinner table. The technique is easy to learn and you will pick it up in no time! Guests will want to know your secret which could even make napkin folding a great conversation starter during dinner. Table etiquette is subtle and refined. It's never too late or early to learn so even get the children involved so they can tune up their entertaining skills for the future. It also never hurts to have a second set of hands to help set a table. Follow these 6 simple steps to creating your own pocket-fold for your next gathering. If you are asking yourself where to start a good beginning has the materials accounted for. Creating a pocket-fold with a cloth napkin is a fairly minimal operation but it will still be in your favor to be prepared for the project. Of course, you will need your two hands and maybe some helpers to get things started. A first step that is often overlooked and neglected is steaming the napkins you intend to use while setting the table. 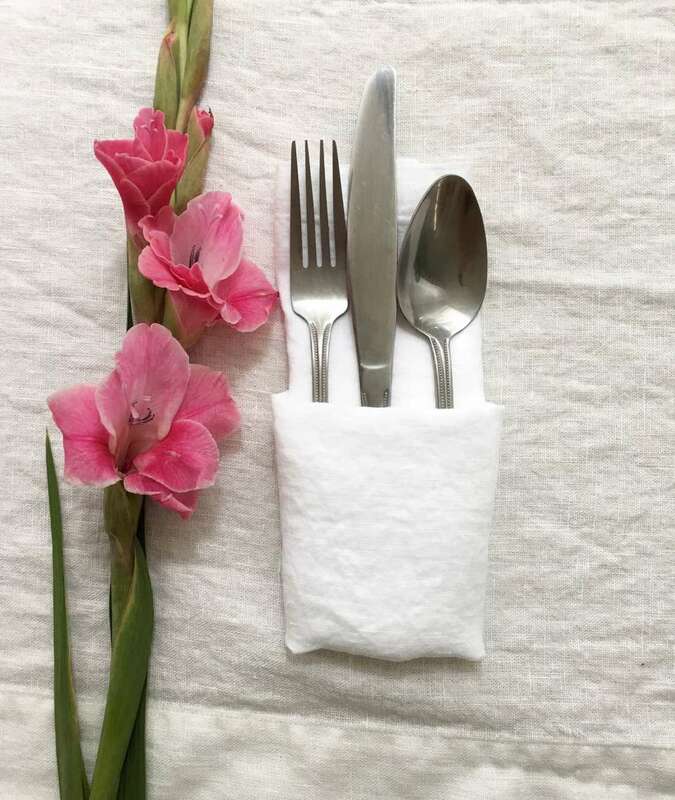 While often times natural linen napkins are used at rustic tables settings to create a look I would suggest taking time to usually steam the napkins in advance. This is, of course, a stylistic choice so feel free to move forward with folding the napkins in your preference. The first official step is to fold your napkin in a half vertical style. 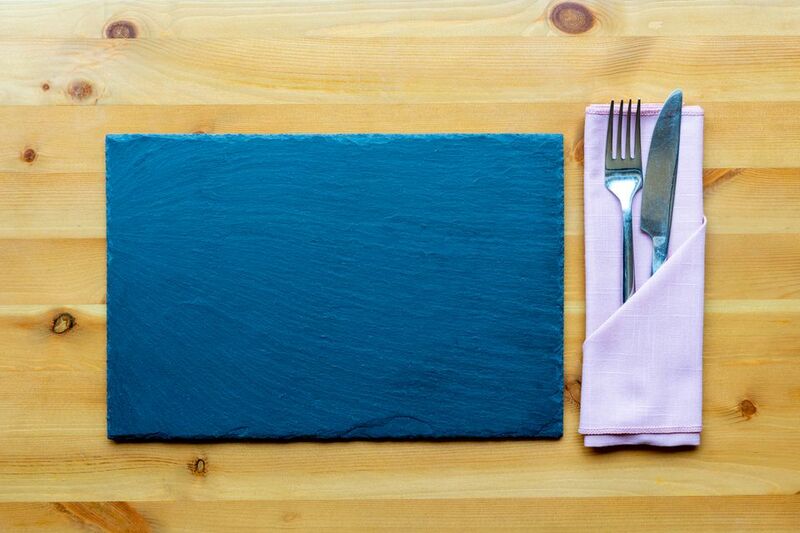 Initially lay the entire napkin on a flat surface and then proceed to fold in half vertically. An important tip here is to make sure corners are aligned before moving to the next step. Take hold of the very bottom of the napkin and bring it all the way to where the bottom edge lays a bit more than to the midpoint of the napkin. Following this find the new bottom and fold it up so it reaches the same line. Now you will want to flip the napkin over and smooth it out a touch. Fold in the napkin left side to meet the new center of your napkin. Fold in one side to the center of the napkin and you will find you have created a small pouch on the lower half of the fold. Take the other side of your napkin and tuck it into that pouch. Smooth out your work and flip over for the next step. Flip the folded napkin back open and give those utensils a place to call home. Arrange the knife, fork, and spoon in your pocket-fold pouch accordingly.